One of our customers has sent us these photographs of her beautiful kitchen, kitted out with some lovely items from Peppermill Antiques! 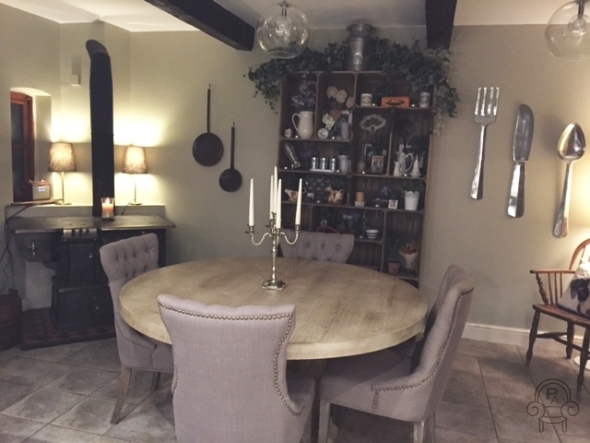 Our mushroom grey Versailles upholstered dining chairs and Havana pedestal table look fantastic in this rustic country kitchen. 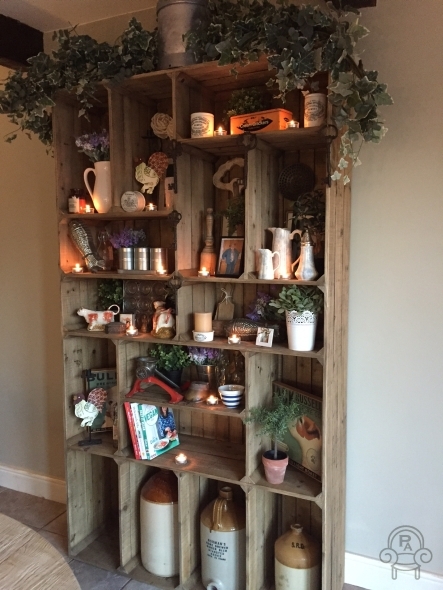 The use of our vintage industrial style pine bookcase as a memory shelf is a fantastic way to add a personal touch to any space. 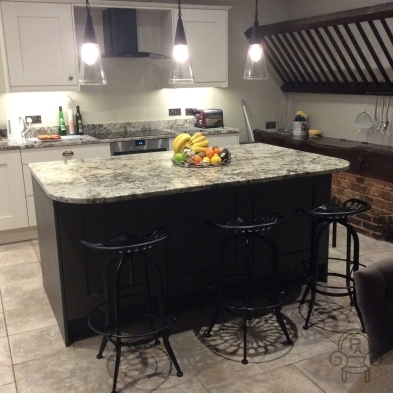 And, these cone lights are a lovely feature above the kitchen island / breakfast bar, beautifully complemented by our tractor seat style stools! We love to see how our products look in different spaces, so if you would like to share your photos of Peppermill items in use in your home or business, please send them to aimee@peppermillantiques.co.uk for a chance to be featured on our blog!